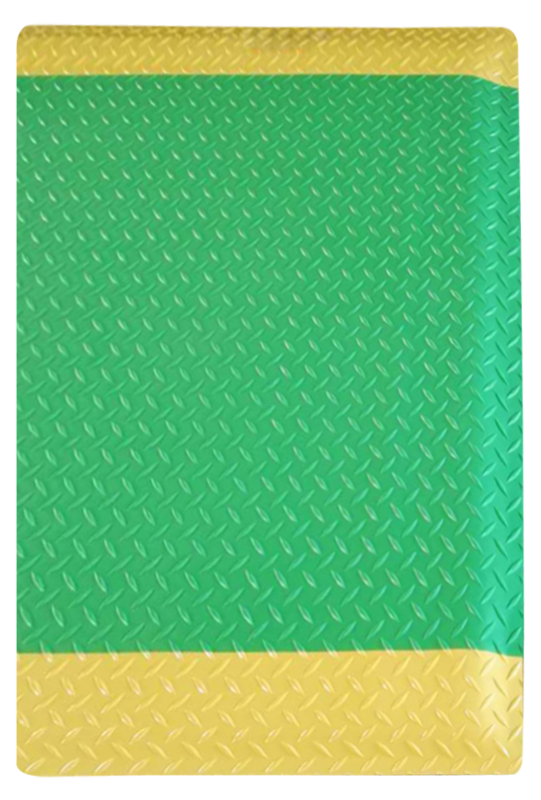 The surface layer is made of ESD anti-static PVC, the middle layer is EPDM foam, the bottom layer is made of the conductive rubber.The special structure can effectively buffer the foot pressure, relieve fatigue for long time standing. Easy to clean,easy to migrate,does not affect the normal working environment.The surface of the anti-skid design ,resistant to acid solvent etc. 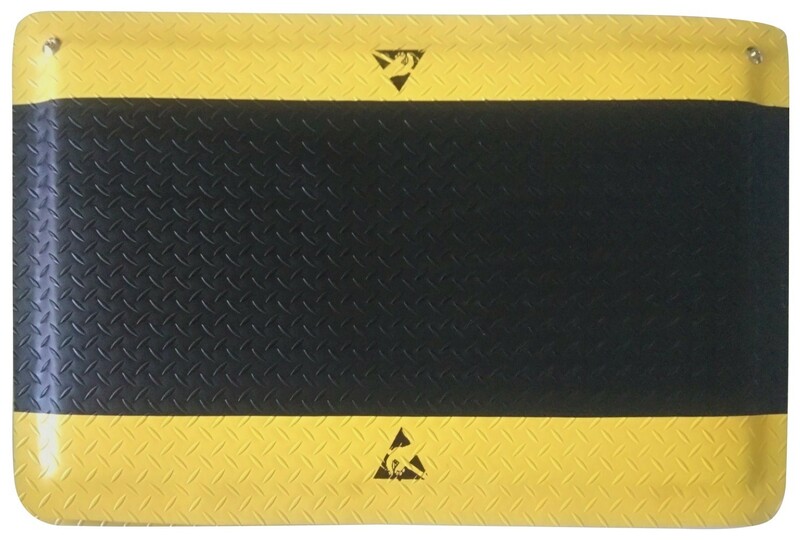 The ESD Anti-Fatigue Floor Matting is suitable for long standing anti-static area,It can effectively buffer the foot pressure to relieve fatigue,then improve our operation effectiveness, reduce vibration, protect the products and tools from damaged when dropped, reduce manufacturing cost ,improving the healthy and safety index of staffs. ▪ Color: Whole black, Yellow edge, Gray or customized. ▪ Standard Thickness:18mm, 20mm, or customized thickness. ▪ The Antistatic logo or company logo can be silk-printed if there is a request. ▪ The grounding studs can be added upon request.